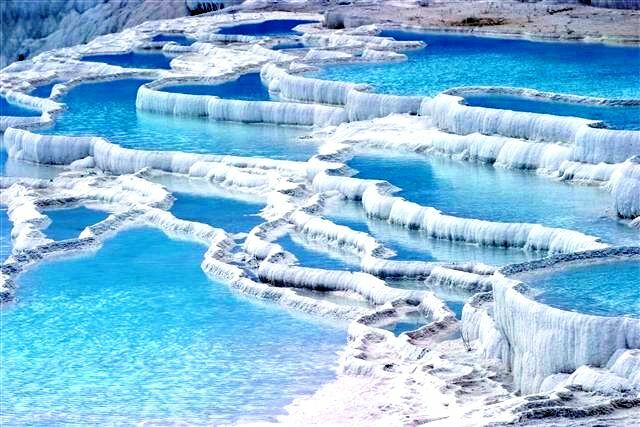 Located 20 kilometers from the town of Denizli in the Aegean region of Turkey, Pamukkale is one of the most interesting places in the world, justly famous not only for the entrancing beauty of its unique geological formations but also for its historical remains. Pamukkale has always been a very popular settlement where the hot springs were believed to have healing powers, so the city became the center of a pagan cult in antiquity and a spa resort today. The city was on the borders of Caria, Lycia and Phrygia and had a mixed population. Citizens were usually involved in the wool industry and little has changed as it is still a textile center. 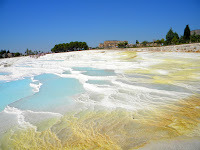 The calcium oxide-rich waters flowing down the southern slope of Caldag located north of the ruins have, over the millennia, built up deposits of white travertine on the plateau thus fully justifying both the site's ancient name of Hierapolis (Holy City) and its modern one of Pamukkale (Cotton Castle). 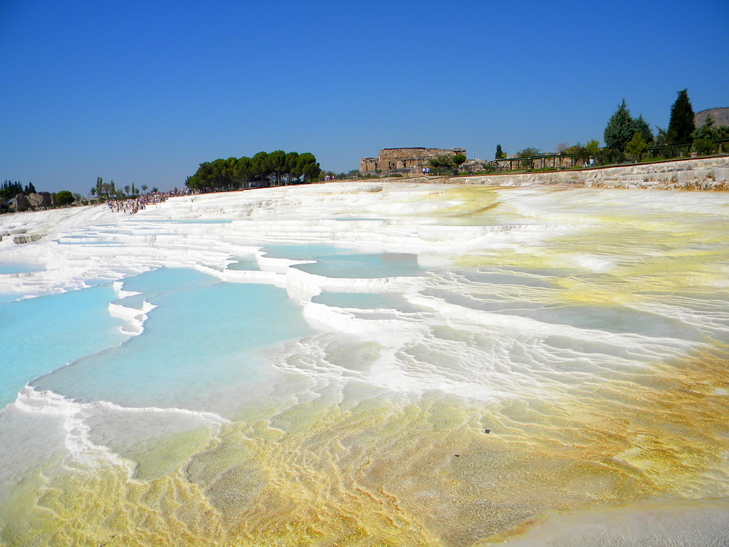 Ancient Hierapolis appears to have been founded by King Eumenes II of Pergamon and its name is derived from Hiera, the wife of King Telephos, the legendary founder of Pergamon. The city became subject to Rome in 133 BC. In 17 BC. during the reign of Tiberius it suffered a heavy earthquake that substantially destroyed the city, requiring it to be rebuilt. 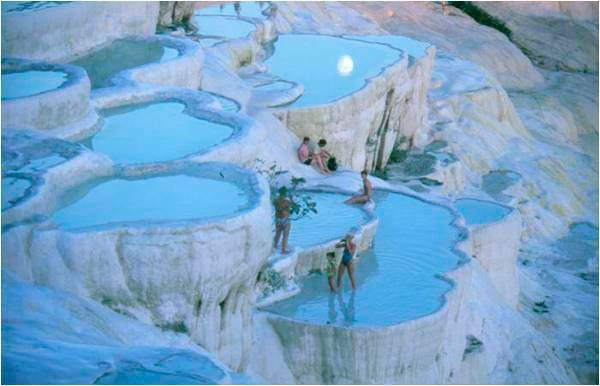 In the 2nd and 3rd centuries, it reached the height of its development as a Roman thermal bath center.The temperature of water is like 33°C -35,5°C .